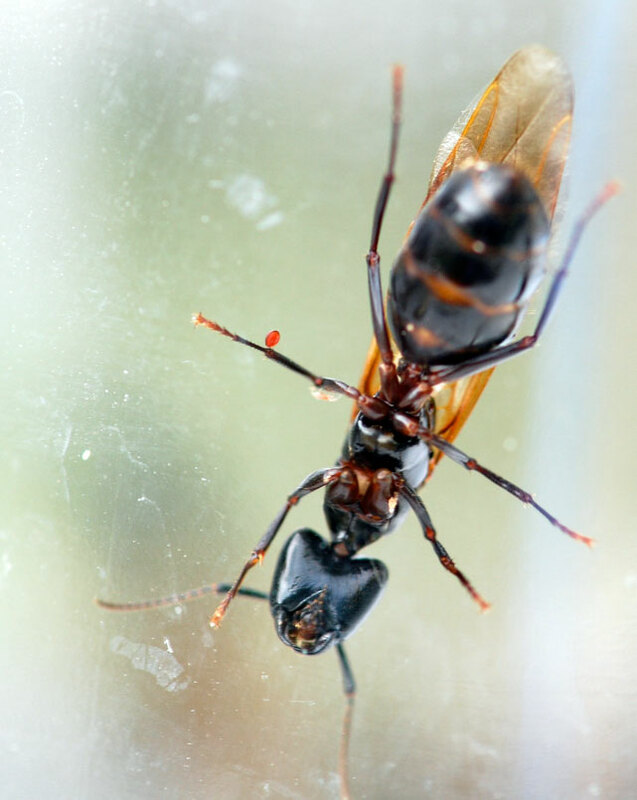 If you have a pool, you know that most insects don’t have a chance if they fall into the water. 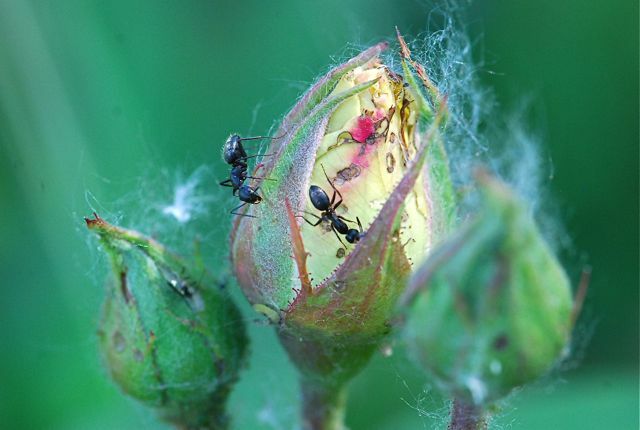 Here at Wild About Ants, however, we know ants often do the seemingly impossible. 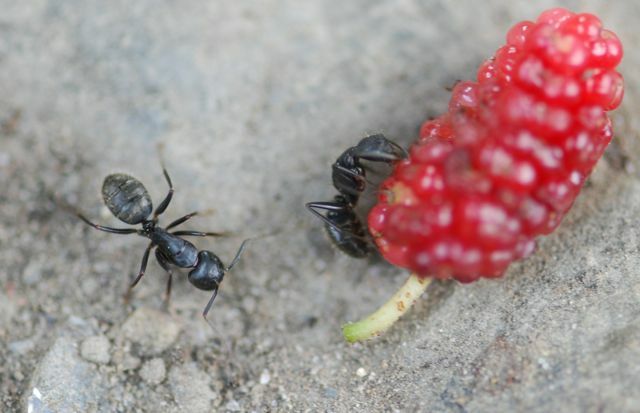 To prove it, let’s look at the ability of certain species of ants to swim. 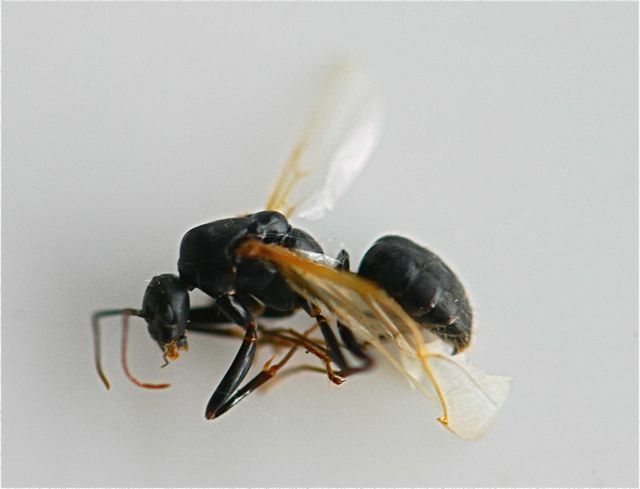 In a recent article in Myrmecological News, Gora et. al. 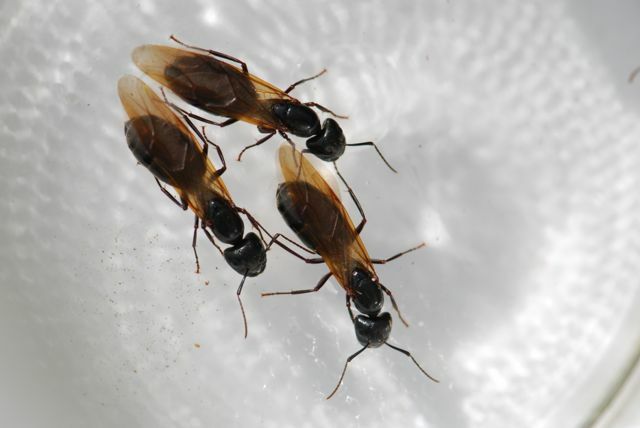 reported on their investigation into swimming by the carpenter ant, Camponotus pennsylvanicus. 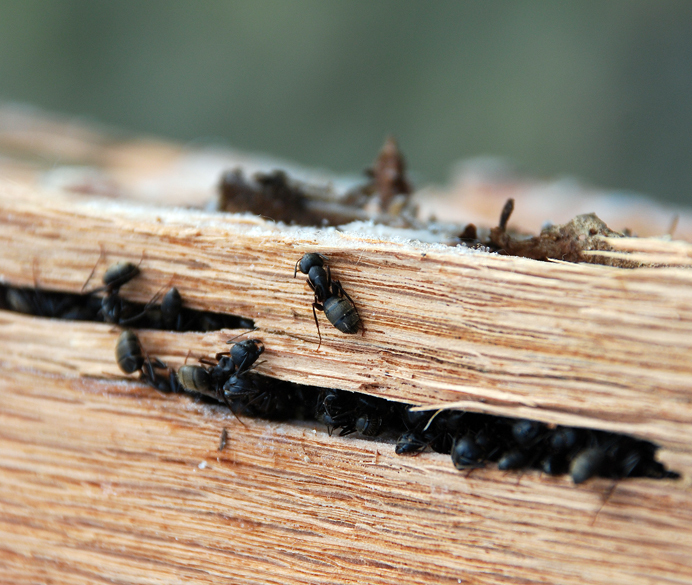 They found carpenter ants use vision to find escape platforms from the water. 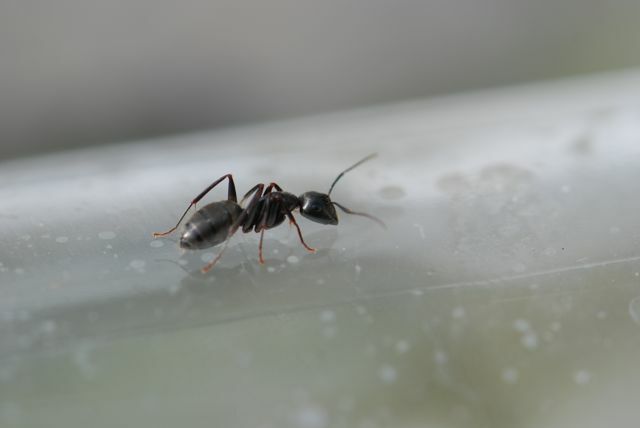 One hundred percent of the control ants placed in the water of the test apparatus were able to swim to the edge and get out of the water successfully. 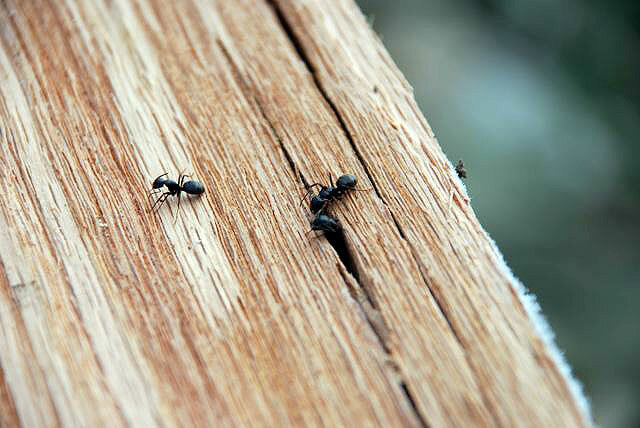 Ants with their vision occluded, on the other hand, failed to exit the water. 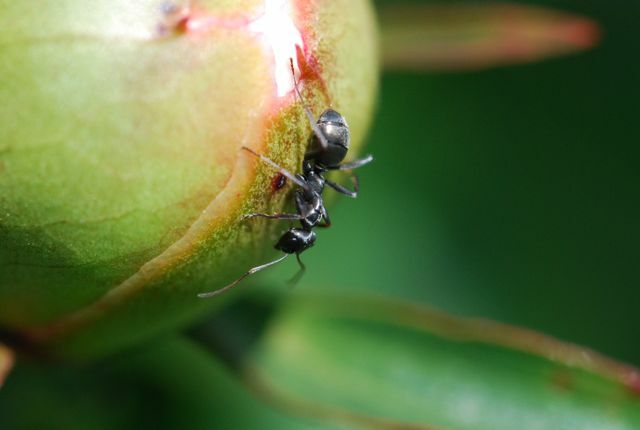 Although this study focused on ants swimming as a method to escape from water if they fall in accidentally, some Camponotus ants in pitcher plants are able to actively swim to capture mosquito pupae for food. In this video you can see how they move all six of their relatively short legs to push through the liquid. 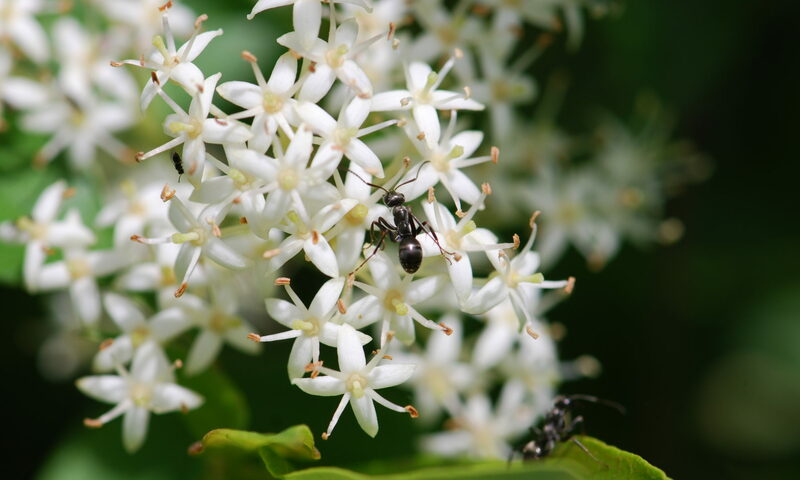 As you might expect, ants that live in areas that are regularly flooded by tides, such as ants living in mangrove swamps, are particularly good at swimming. This video from Life in the Undergrowth shows mangrove ants running across shallow water and then at about 1:02 minutes actively swimming in the water. 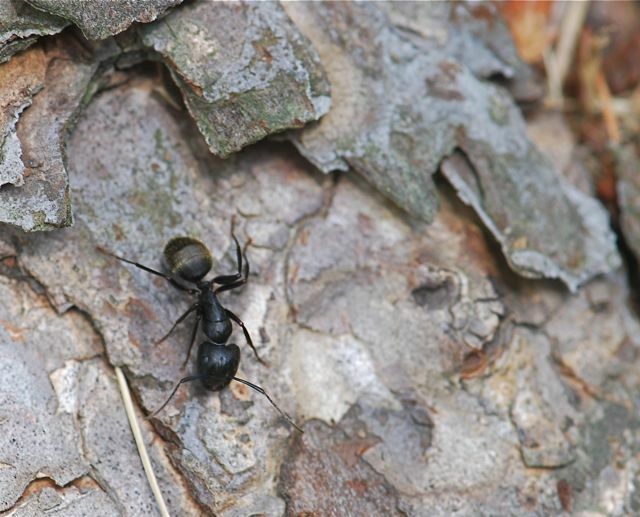 Notice how the swimming ant holds its hind legs out behind it like a rudder. 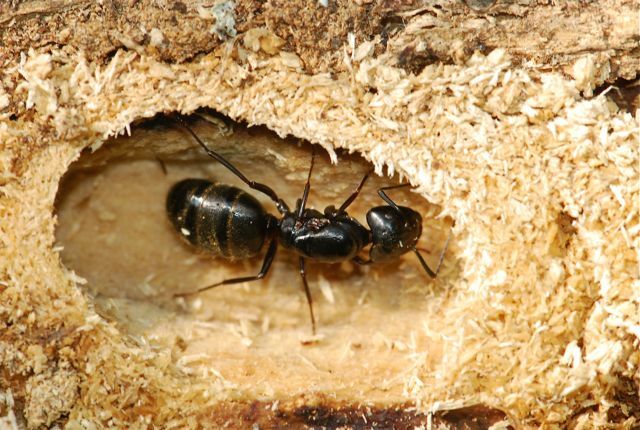 Yanoviak and Frederick tested 35 species of tropical forest ants to see how many had the ability to move through water in a directed way. Of those, ten species were able to show rapid directed movements and ten more exhibited slower, but directed movements. The remaining species apparently needed tiny life jackets. 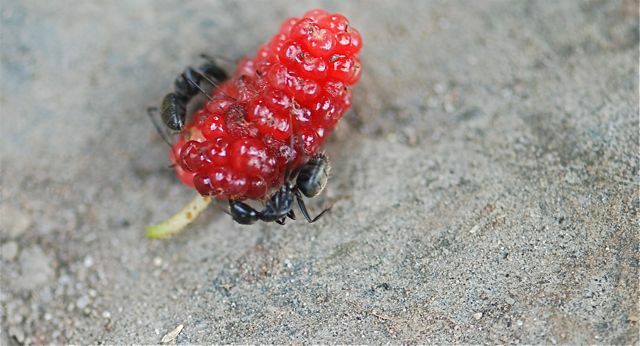 The bottom line is that although different species of ants vary in their ability to swim, some are quite adept at it. 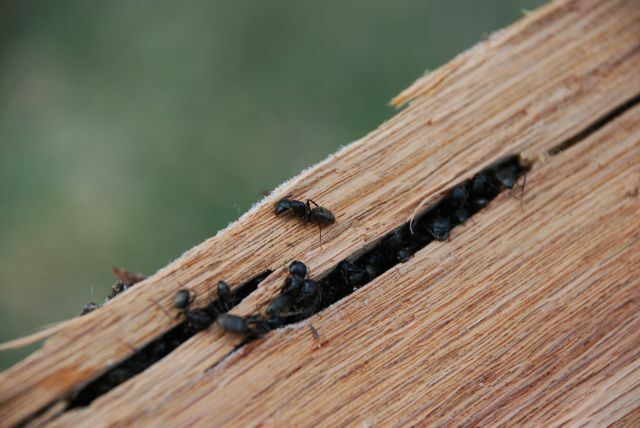 First of all, for the person who asked about the red spots in their ant farm. Do the spots look anything like the red dot on the middle leg on the left side of this photograph? 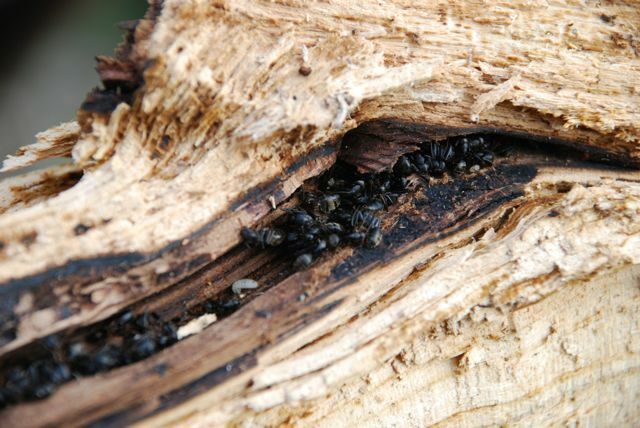 That is a mite. 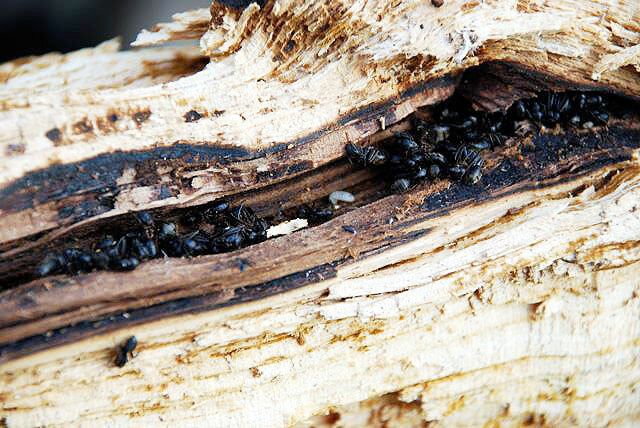 I don’t usually manipulate the ants I photograph, but these were in a log that had been split for firewood, so I thought I’d play around with holding them in and under glass. 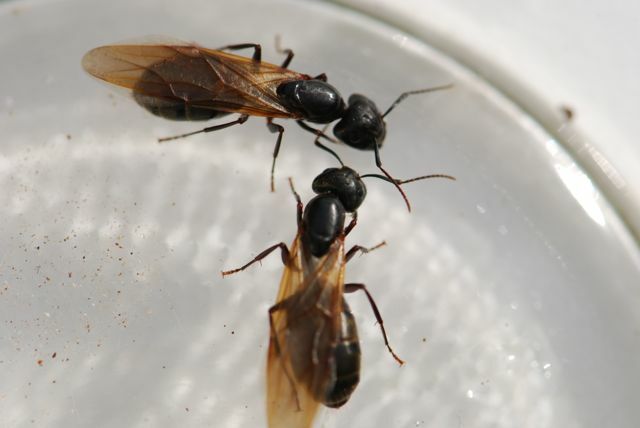 Camponotus pennsylvanicus ants are more cooperative than most. I kind of like the results.